Following their draw with CUS Pisa on Sunday, Clydesdale Western have qualified for the Promotion Play-Off round of EuroHockey Club Challenge I, where they will face Scottish league rivals, Edinburgh University on Monday, 3.15pm PB at Peffermill, Edinburgh. Yesterday’s draw meant that Clydesdale Western finished 2nd in Pool B of Club Challenge I to seal a Play-Off Final place. In Pool A, opponents Edinburgh University got the draw they needed to finish top of their Pool which meant the two sides will face each other in Monday’s Play-Off Final. This will be the fourth time the two sides have met this season. 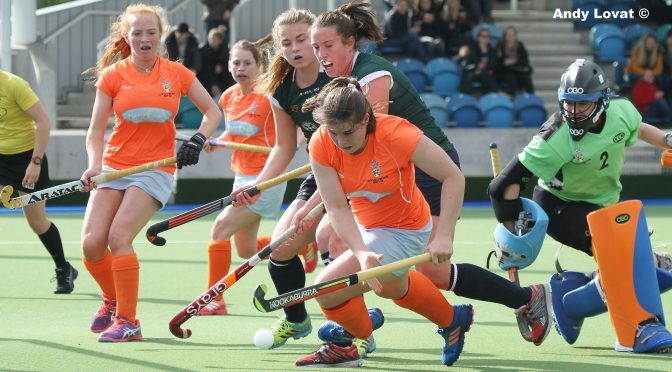 Following their two league games, in which both sides won their respective home games, ‘Dale Western and Uni also met in the Women’s National Play-Off Final eight days before Monday’s meeting – Edinburgh Uni were the winners that day after the Final entered running penalties. The result of the Final will see the winner promote Scotland’s highest seeding for European competition next season a division up from Club Challenge I – which would be EuroHockey Club Trophy. The girls will need as much of your support for Monday’s crucial game, so if you’re free, please do your utmost to attend!